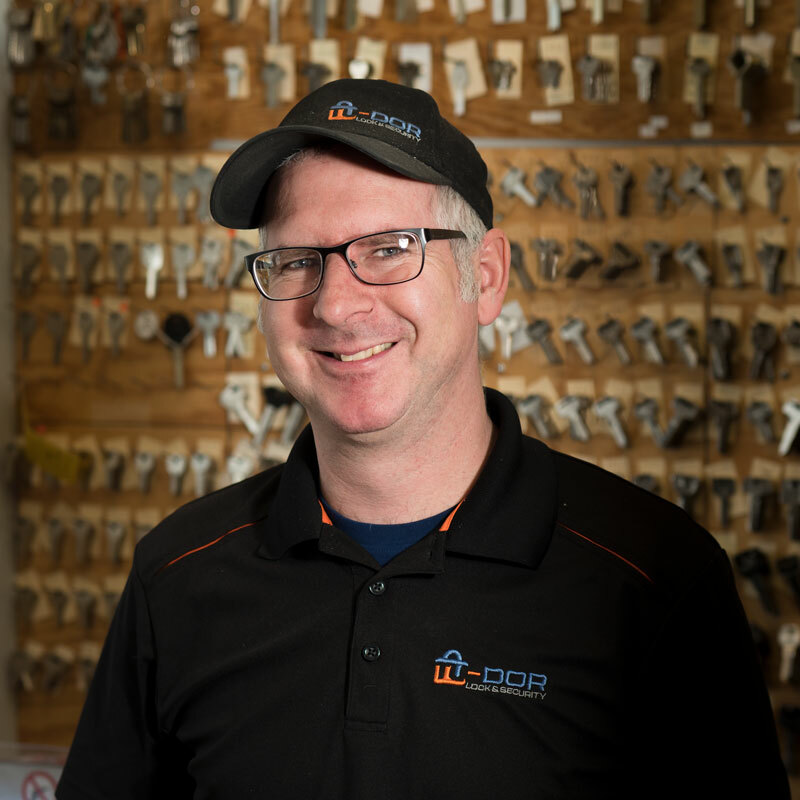 There are two reasons why Tu-Dor Lock & Security has been the best locksmith and security service provider in the Kootenays for over a century. Firstly, we pride ourselves on doing excellent work. We’ve helped thousands of clients in the last 100 years and each will tell you we have the most knowledgeable staff in the Kootenays and the best quality products. Secondly Tu-Dor Lock & Security offers so much more than locksmithing. Our services range from key cutting to engraving to blade sharpening and we travel off site to do commercial work such as fire code compliance inspections, door installation and repairs and security evaluations of everything from locks to access ramps. We also have an extensive retail operation, located at 607 Front Street in Nelson, deals in a wide variety of personal convenience and safety products: everything from bear spray and flashlights to safes and kitchen knives. We are also one of the only locations in the Kootenays that offers high-tech key and lock replacement. With such rapid advancements in technology, it’s important your locksmith and security provider sells and services automotive chip keys, home appliances such as Bluetooth video doorbells and Nest learning thermostats. Tu-Dor Lock & Security provides all that plus security evaluations and more. It’s equally important that your locksmith is accessible at all hours, which is why Tu-Dor Lock & Security offers a 24/7 emergency mobile service within the West Kootenays, including Kaslo, Salmo, Nelson, Castlegar, Trail and the Slocan Valley. If you’re locked out of your home or car or have lost your keys, simply call 1-250-352-3245 and we will be there to help. To learn more about the vast array of products and services Tu-Dor Lock & Security provides, visit our Services section. And to meet our professional locksmith Patrick Goldik, click here. Whether it’s replacing a key for a 100-year-old safe or programming a high-tech security device, remember that Tu-Dor Lock & Security has over a century’s worth of experience in the Kootenays and can handle any task. We look forward to meeting you. In his time at Tu-Dor Lock and Security, Patrick Goldik has unlocked everything from personal safes and a 100-year-old bank vault to luxury sedans and modern homes with keyless entries. “Every day is different because we offer services for technology that’s brand new, like smart keys, as well as tech that’s a century old,” he says. Today Patrick oversees a team at Tu-Dor Lock and Security that provides in-shop services ranging from locksmithing and blade sharpening to engraving and retail sales. And that’s only a portion of what can be done — they also travel to do on-site repairs, installations and inspections of fire doors and windows, security equipment and high-tech lifestyle devices such as NEST thermostats. Those visits can easily be set up during work hours but Tu-Dor also has an emergency line. If you need a locksmith onsite immediately, a staff member will happily make the journey. Patrick says he’s been to businesses in the early hours of New Year’s Day to fix broken bolt locks and he’s helped innumerable people at places around the West Kootenays who were locked out of their cars and homes. “Don’t even get me started on the number of phone calls I received after the Shambhala music festival,” he says and laughs. Excellent customer service! They are prompt with our requests, especially when it’s for emergencies. Friendly and knowledgeable staff! A division of DHC Communications Inc.